At one time, elderly and infirm people did not have any other choice than to rely on other members of their family to help them while taking a bath. These days, however, the invention of bathlifts has changed things a lot. People around the globe are now using bath lifts to help them get lowered into their bath tubs and get lifted again after their bathing has been done. With the growth of the elderly care market of late, you can now find a number of companies manufacturing bath lifts of superior quality, which can last well for a long time and help you at bath time. The Neptune Bathlift chair is one of the most popular bathlifts. Whether you are an elderly individual (or even a young adult weakened by a debilitating condition) and you require assistance with bathing, you can now get the help that you need. Mountway is one of the biggest makers of bath lifts, pillow lifts and toilet lifts – all of which have been created for independent living. The Neptune Bathlift is one of the most popular bathlifts from the company. The Neptune Bath Lift from Mountway was designed after consulting extensively with various users and professional caregivers in order to ensure that it provides bathers with a satisfying and hassle-free experience while bathing. The unit offers a lot of leg space and the ability to sit very low within the tub. The unique design of the lift makes it fit tubs of about any size. This makes it a very versatile and an overall pretty good bath lift. It is also one of the lightest battery-operated bathlifts available for bathing purposes. The seat is ideal for both short and tall bathers with fewer obstructions while transferring you into and out of your tub. 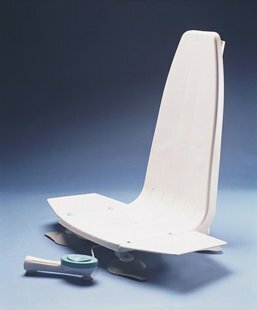 The flexible suckers along with the seat and the lean frame means that the bath lift can fit even narrow-sized baths without any constraint. Because of the short footprint, the suckers can avoid the majority of rippled bath surfaces for the purpose of stability. It also has contoured side flaps which means that there is often no need for bath handles. Due to the low height of the seat at the bath lift bottom, there is maximum body immersion for users even in shallow baths, pools or jacuzzis. This is ideal for homes having water meters. Maximum user weight limit: 160 kg (350 lb). USA Residents: If you live in the United States, this lift is unfortunately not available on Amazon at the moment but we strongly recommend this other very good bath lift called Bellavita. The Neptune Bathlift has a compact design and its total weight is only 20.94 pounds, which lowers the risk of handling injuries and movements. The seat tends to curve about the body while it is being lifted and it gives you a clear view while carrying. Due to its compact design, you can save space while storing it in the car or at home. The device can be separated into two parts that are lightweight. This can reduce the strain on your back while fitting and removing. It can also reduce stretching or stooping while lifting your body in and out of the tub. The Neptune bath lift has a smooth and accessible surface which is free of crevices. This means that neither dirt nor used water is trapped. It can ensure that cleaning remains easy and fast. It also consists of a silver-based antimicrobial solution that safeguards you from dangerous bathroom mold and bacteria. The unit has a streamlined framework that offers access to the bath for the purpose of cleaning with the lift unmoved. The slim-line hand control of the unit is waterproof and it can be gripped as well as operated by using only one hand. It can be stuck easily to the majority of bathroom surfaces. The rocker switches are textured and large and can easily be operated even by individuals with visual impairment or limited amount of dexterity. The switches can be pressed by elbow or heel of hand. The battery level indicator notifies you when you need to recharge the device. Unless there is adequate power to lift, a cool feature prevents it from moving down a user. The presence of an optional telecare alarm system also makes sure that a bather, in case of a medical emergency, can get assistance while it is used with Tunstall lifeline 400, 4000+ and Connect+ units.